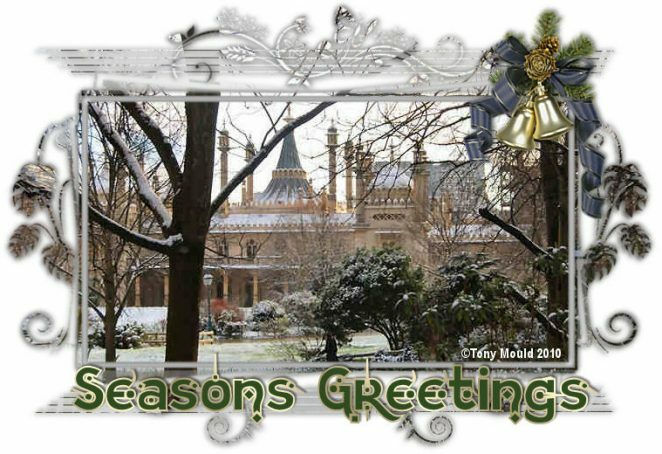 The volunteer team at My Brighton and Hove would like to take this opportunity to thank all our supporters and visitors for helping us make 2010 one of our most productive years yet. 2010 was our 10th anniversary year which we celebrated with a unique collection of personal tours. We were also invited to a civic reception by the then Mayor Councillor Ann Norman, who thanked us all for our contribution to the promotion of our city’s history and rich cultural community. The anniversary tours coincided with the publication of our 10,000th page – we are now almost onto our 10,500! In 2010 we were also chosen by The British Library to be archived on their UK Web Project. My Brighton and Hove is constantly updated on their site which means that we will be accessible in perpetuity for generations of Brighton and Hovers in the future. None of this would have happened with you! Whether you clicked on to visit us, or contributed a page to the site, left a comment on one of those thousands of pages, contributed to our lively Message Board, or contacted us via email. And if you haven’t managed to make a contribution yet – there is a new year looming so make it your resolution. Email me at jennifer@mybrightonanddhove.org.uk and I can help you to be part of this award winning site. Thanks for making us the success we are and we hope we can count on your support in the coming New Year. Jennifer, Jack, Ig, Anne, Spooks, Mike, Peter, Lucy, Helen and Tony. Beautifully illustrated card. Many thanks for supporting the mayoral engagements, all the pictures taken are spot on. Thank you – and our Seasons Greetings go out to you all. Geoff ‘n Sal Mayor and Mayoress Brighton and Hove. Lovely photo and card – Tony. To Jennifer, Tony and the team keep up all your hard work -Your success is a credit to you all and Brighton & Hove is very lucky to have you. This is a lovely card, good luck and success in 2011!